In the first part of this three-part series examining the Guantánamo prisoners’ attempts to secure their release via the US courts, Andy Worthington, author of The Guantánamo Files, examined the Bush administration’s record in the seven months after the Supreme Court’s ruling, in June 2008, that the prisoners had constitutionally guaranteed habeas corpus rights, and explained how, despite obstruction by the Justice Department, District Court judges reviewed 26 cases, and in all but three found that the government had failed to establish, “by a preponderance of the evidence,” that it was justified in holding the men. This second article (and the final part next week) examine the Obama administration’s record, in its first seven months in office, presenting an under-reported story of ongoing obstruction by the Justice Department, apoplectic judges, and, in the majority of the cases in which a judge has been able to make a ruling, more humiliation for the government. On his second day in office, President Obama issued a number of Executive Orders, which appeared to tackle the worst excesses of the Bush administration’s “War on Terror,” and included pledges to uphold the absolute ban on torture and to close Guantánamo within a year. Given the repeated defeats of the Bush administration’s detention policies in the courts, it was not unreasonable to suppose that Obama would move swiftly to overhaul the Justice Department, which had been rocked by scandals indicating that it had become heavily politicized during the Bush years. Accordingly, it was anticipated that Obama would focus on putting in place new staff who would take on board the Supreme Court’s statement that “the cost of delay can no longer be borne by those in custody,” would prevent the obstruction that was all too apparent in the dying days of the Bush administration, and would urgently review the prisoners’ files to prevent further humiliation by taking unjust and unwinnable cases to court. However, what no one realized back in January was that the Obama administration’s focus was not on the courts, but on the inter-departmental Detention Policy Task Force established to review the prisoners’ cases as part of the Executive Orders issued on Obama’s second day in office. This prioritizing of the Task Force may not have been intended to sideline the court reviews that had been fought for since the prison first opened in January 2002, because the Obama administration, understandably, wanted to try to establish whom it was actually holding at Guantánamo. 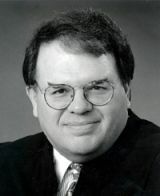 In addition, it may well be that the focus on an executive review that was essentially unaccountable (with its uncomfortable echoes of the Bush administration’s modus operandi) was not specifically intended to compete with the habeas reviews, but in reality that is what happened, and as the months passed the judges and defense attorneys realized, to their horror, that the change of administration had made absolutely no difference to the way in which they were treated by the Justice Department. For the first few months after Judge Leon’s contentious ruling in the case of Ghaleb al-Bihani, the obstruction continued as though the Bush administration was still in power, and, to make matters worse, it seemed that no one in the media cared. Few reporters or editors, for example, realized the significance of the Court of Appeals’ ruling in February, in the case of the Uighurs (Muslims from China’s oppressed Xinjiang province), which overturned Judge Urbina’s heroic ruling in October, when he ordered them to be brought to the US mainland because they could not be returned to China (out of fears that they would be tortured), and because holding innocent men at Guantánamo was unconstitutional. 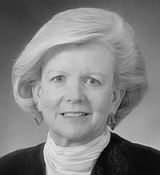 The decision, by a handful of notoriously Conservative judges, including Judge A. Raymond Randolph, who had backed every Bush administration policy that was later overturned by the Supreme Court, was supported by the Justice Department, even though it effectively gutted the Supreme Court’s habeas ruling, preventing judges from being able to order the release of prisoners who were cleared in their courts. As benign-sounding propaganda … this announcement has the alluring veneer of the “change” that Barack Obama promised throughout his election campaign, but in practical terms nothing has actually changed. The prisoners are now nobodies, with no label whatsoever to define their peculiar extra-legal existence, and the entire rationale for holding them without charge or trial — and the egregious errors made along the way — remain unaddressed. Again, few commentators grasped how fundamentally Obama was following the unprecedented policies laid down by the Bush administration, but what is even more shocking, looking back on this period, is how the ongoing habeas litigation was almost completely ignored, even though the most extraordinary scenes were taking place in the courts, as District Court judges, appalled by the persistent obstruction they were encountering, heaped unprecedented scorn on the government’s lawyers. The Kuwaitis’ case was not the only example of judicial anger at the government’s obstruction. In the case of Ayman Batarfi, a Yemeni doctor accused of being involved with al-Qaeda, Judge Emmet G. Sullivan was equally outraged by government lawyers’ “repeated” delays in providing unclassified exculpatory material to the defense. 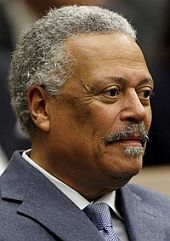 At a status hearing on April 1, Judge Sullivan ran through another case history that was damning for the government, referring to a hearing on March 19, in which he required the Justice Department “to show cause why the government and its attorneys should not be held in contempt for violating” an order in January to produce relevant information, including exculpatory evidence. The second ruling concerned Yasim Basardah, a Yemeni and a well-known and contentious informer within Guantánamo, whose copious “confessions,” ironically, had been and would continue to be pulled apart in other habeas cases (including, very possibly, those mentioned above). 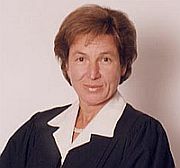 Basardah’s habeas petition was granted on March 31 by Judge Ellen Segal Huvelle, who provided her own slant on the necessary circumstances for ongoing detention by looking closely at the government’s justification for holding prisoners (the Authorization for Use of Military Force) and how this was affected by the Supreme Court’s ruling in Hamdi v. Rumsfeld, a case decided in June 2004, which focused on an American-born Saudi, Yaser Hamdi, who, at the time, was being held at Guantánamo. It seems astonishing to me now that the barrage of criticism to which the government was subjected by the courts in March and April, which cannot have failed to resonate through the corridors of power in the Justice Department, did not lead to an urgent rethink of the government’s entire policy regarding the Guantánamo habeas cases, but in the months since there has still been no change, and although the ongoing obstruction has prevented a large number of cases from reaching a point where a judge can make a ruling, those that have proceeded to a ruling have, if anything, humiliated the government even more thoroughly than the litany of embarrassments described above. These rulings, and some dark conclusions regarding the government’s attitude to the habeas cases and the legitimacy of the courts, will be discussed next week in the final part of this series of articles. This entry was posted in All Posts News Politics and-or Videos, Dandelion Salad Featured Writers, Gitmo, Justice or Injustice, Obama-Barack, Politics, Torture, Torture on Dandelion Salad and tagged Andy Worthington, Barack Obama on Dandelion Salad, Meet the new boss the same as the old boss, Worthington-Andy. Bookmark the permalink. The US government lawyers need to be held in cotempt and jailed until their behavior changes! No defense attorney could ever hope or attempt to do what they have systematically done.